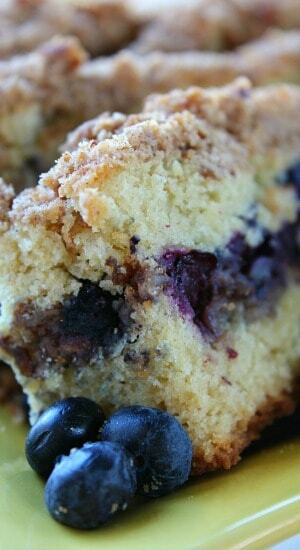 The other day I was craving blueberries, and I have been wanting a coffee cake, so, while I was debating over what type of cake to make, and since I have been craving both, blueberries and coffee cake, I decided to put the two together. 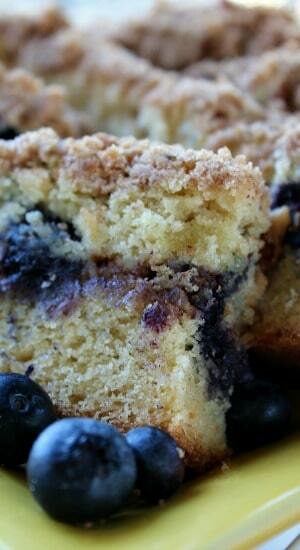 Blueberry sour cream coffee cake is what I came up with. 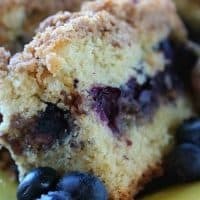 This cake is super moist (which is rare for a coffee cake, or should I say, the ones I have had), and bursting with flavor, and a great way to start your morning. It’s good all day for that matter! There is a little quaint restaurant, not far from where I live, that has a delicious coffee cake which they serve with butter and it is super delish! To order a whole cake it cost $28. I love theirs, and although I would pay that price, it was time to make my own. 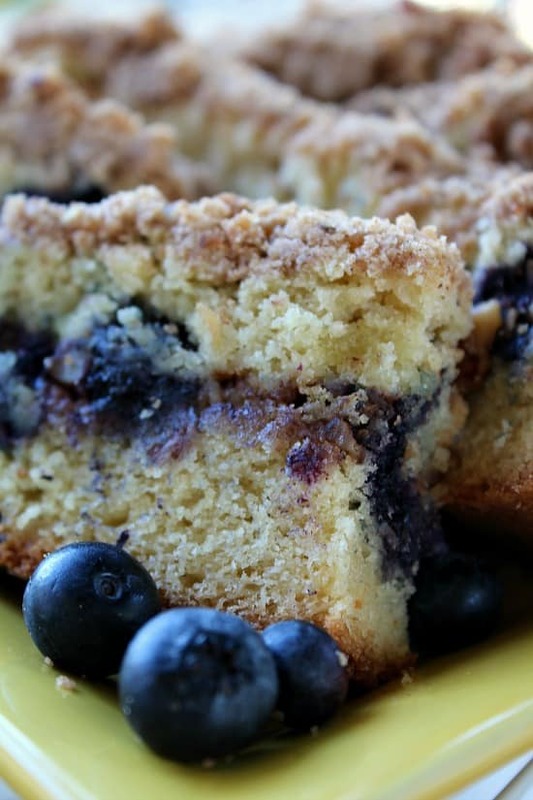 This blueberry sour cream coffee cake is delicious. 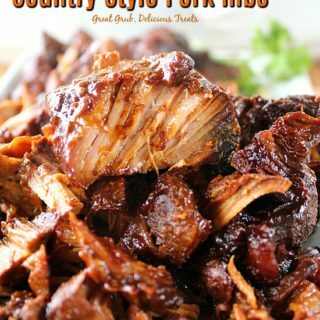 It is also amazing served warm and smothered in butter. 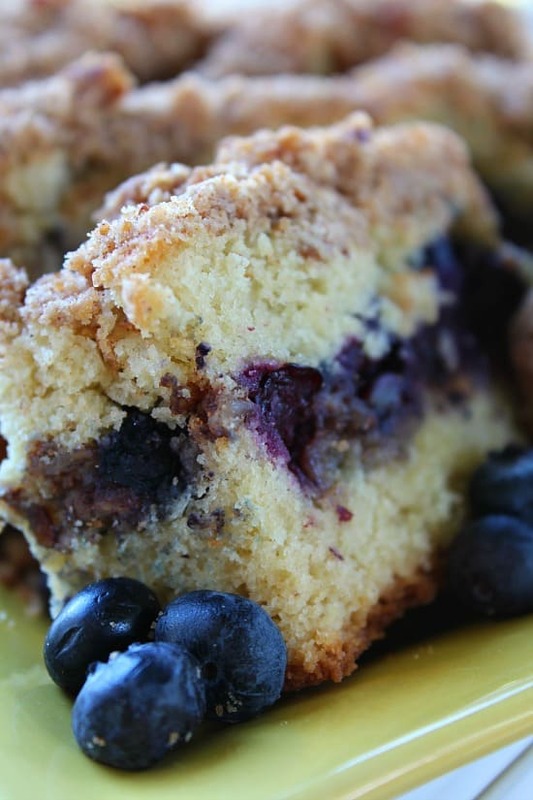 I love the moistness of this cake, along with the streusel topping, with the delicious taste of pecans, and the best part of all, the blueberries. So good! You could always substitute other seasonal fruit in place of the blueberries if they are not available where you live. Grease and flour a 8 X 8 baking dish or a 9 inch spring form pan. Whisk brown sugar, sugar, cinnamon and pecans together. 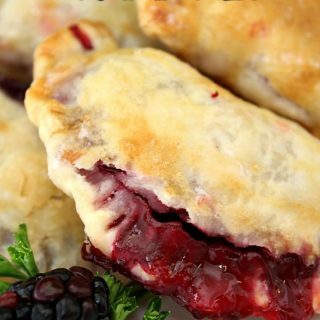 Set aside 3/4 cup for the filling. Add flour, butter and vanilla to the remaining mixture and form a crumbly streusel like topping. In a small bowl, gently mix egg yolks, approximately 3/8 cup of the sour cream and vanilla. Set aside. Add butter and remaining sour cream. Mix until well combined. 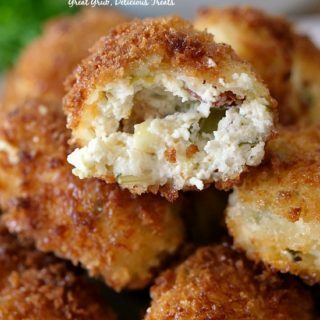 Gradually add egg mixture slowly, a little at a time. Mix well after each time. 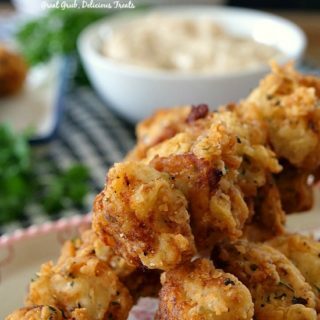 Batter will be thick and sticky. Put about 2/3 of batter in prepared baking dish. Make sure to smooth the batter on top with a spatula. Sprinkle the filling over the top of the batter. 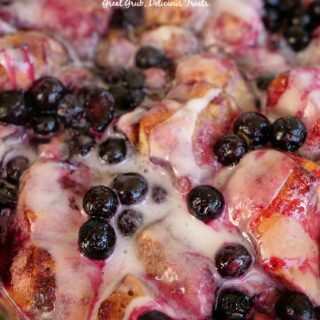 Add blueberries over the filling. Add remaining batter on top of blueberries, in sections, and carefully smooth over the top of blueberries making sure that the blueberries and filling stay in place. 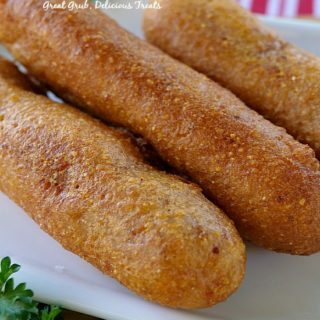 Bake for 55- 60 minutes or until tooth pick inserted into the center comes out clean.